Chevrolet gave the Malibu a nice, new look for 2016. US News ranked it 2016 Best Midsize Car for Families. It comes standard with a rearview camera, a 7-inch touch screen, Apple CarPlay, Android Auto, and a USB input. The 1LT trim adds satellite radio and a Wi-Fi hot spot. The 1.5-liter engine hustles the Malibu around town confidently and provides adequate power for passing and merging on the highway. It’s rather quiet as well, and its fuel-saving stop-start system functions seamlessly, and still managing 27 mpg in the city and 36 mpg on the highway. 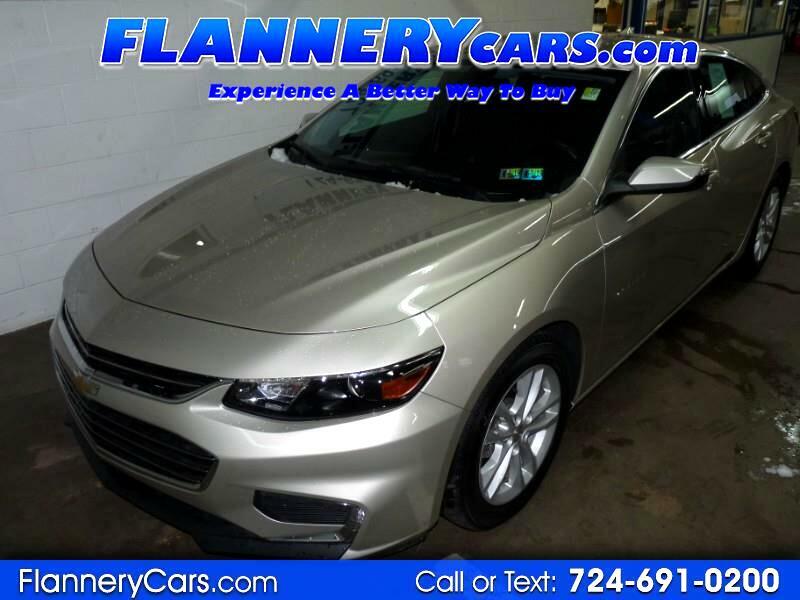 Call us to test drive this 1 owner, accident free vehicle.